We provide actionable data on every provider in the United States, sourced from hundreds of federal, state and private databases. Access charge and payment information, organized by provider. Instantly search hundreds of databases with advanced criteria. See the most current information available with weekly updates. Define search criteria, frequency and format. We’ll package and send, automatically. Integrate our data APIs into your product quickly and easily. Get your data the way you want it. 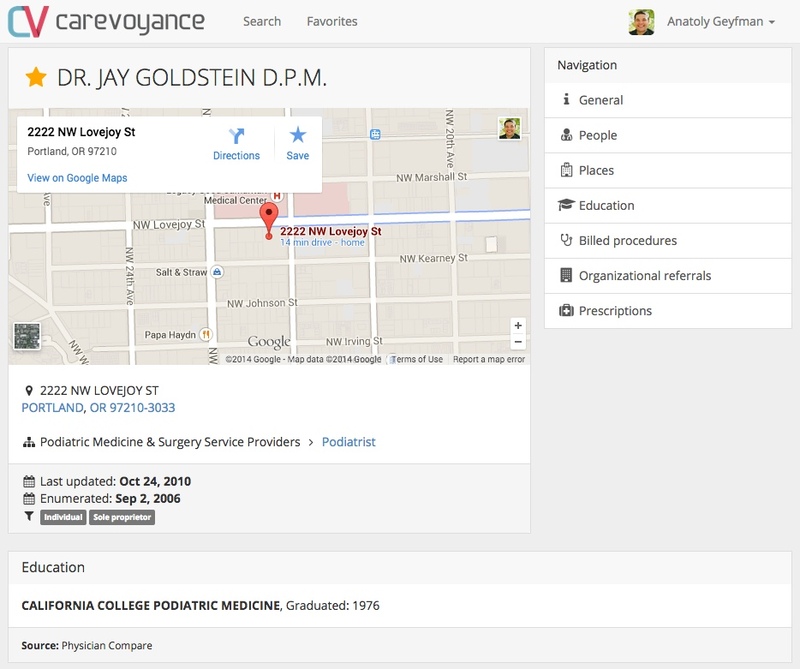 Faceted search makes it easy for your to find providers that match your exact criteria. 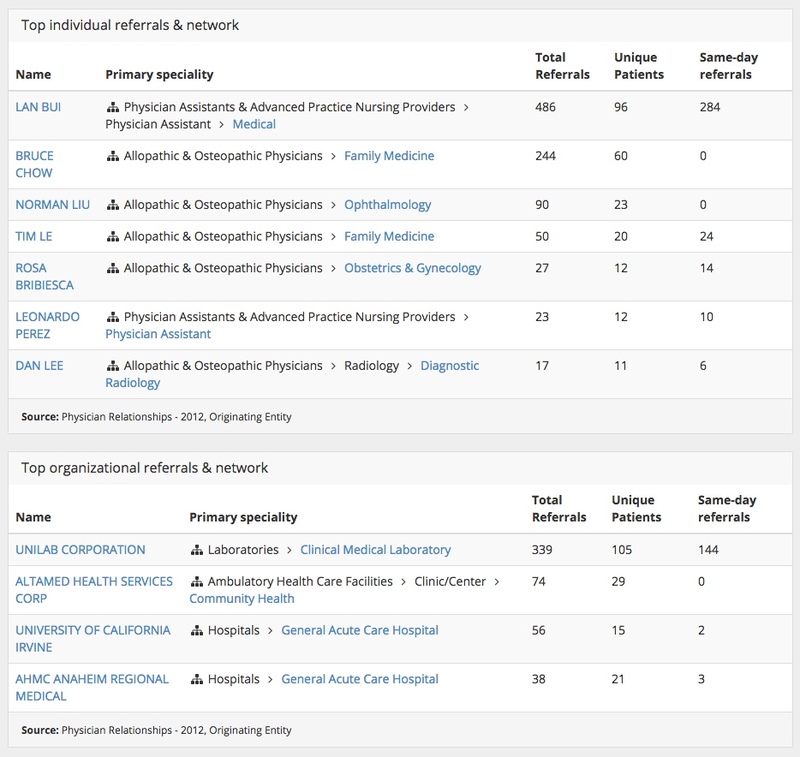 Provider dossiers show you all provider information in an easy-to-use single-page format. Works great on mobile! Favorite interesting providers and come back to them at a later time. 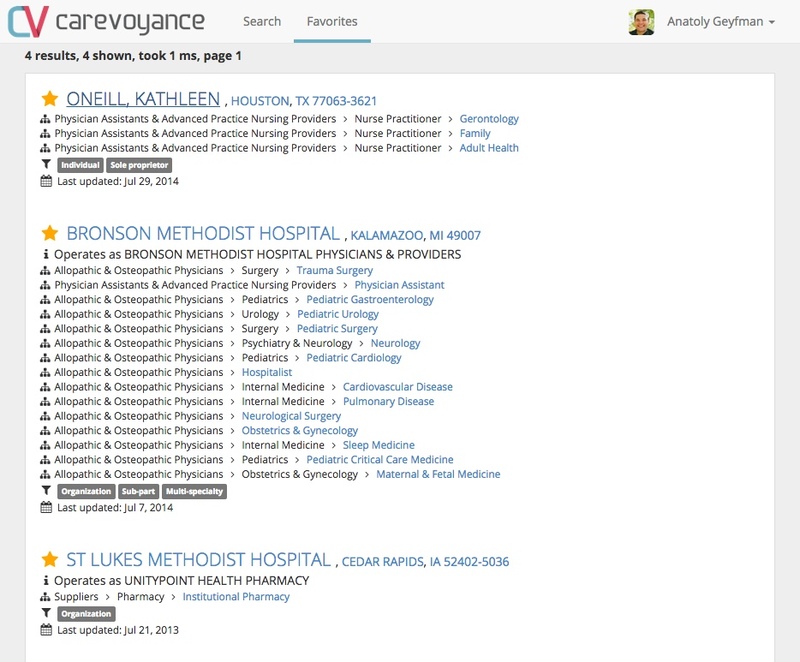 Provider-level referral, prescription and procedure data all in one place, cross-linked and available as an API. Custom dashboards with maps, tables, charts -- you name it. The data you want the way you want to see it. Based out of Portland, OR, we are a dedicated group of healthcare data and web nerds. We come from diverse backgrounds - medicine, statistics, enterprise IT and even social networking. 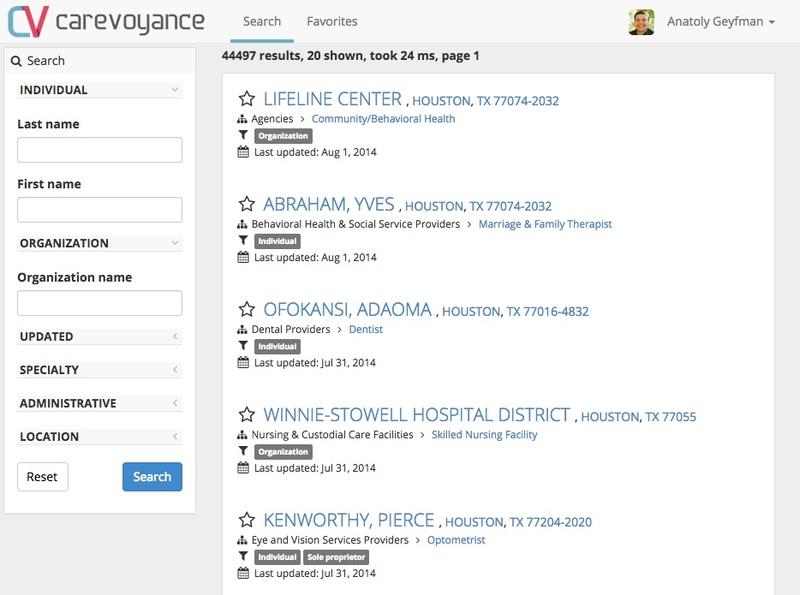 What brought us together is our desire to improve healthcare through data.